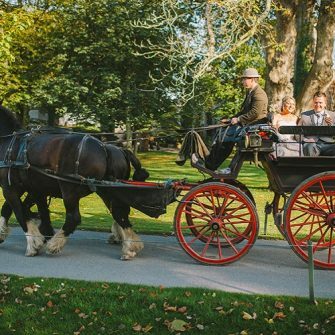 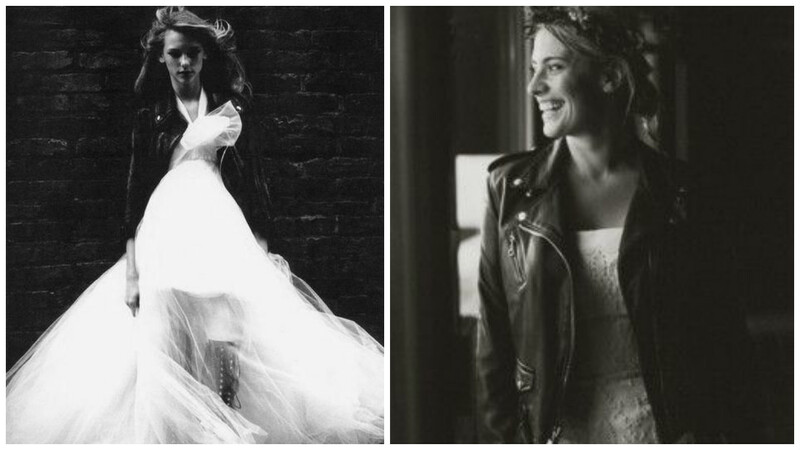 While we’re not suggesting you walk up the aisle with full motorbike leathers on, we would encourage you to think about donning a leather jacket for an alternative wedding photo. 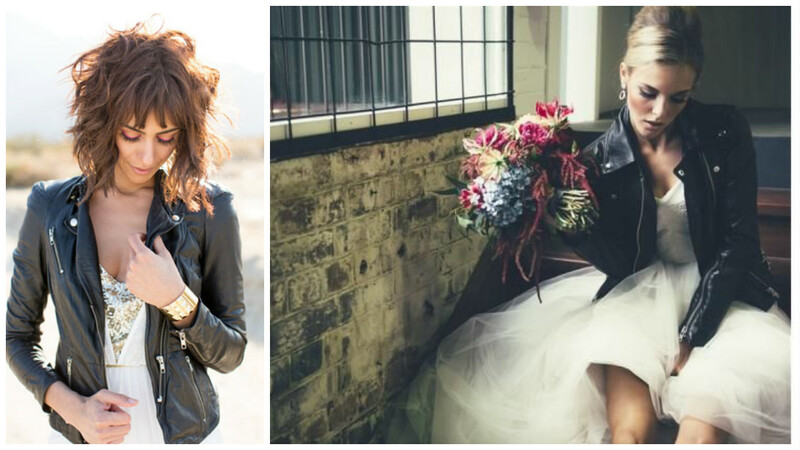 How edgy do the brides in biker jackets look below? 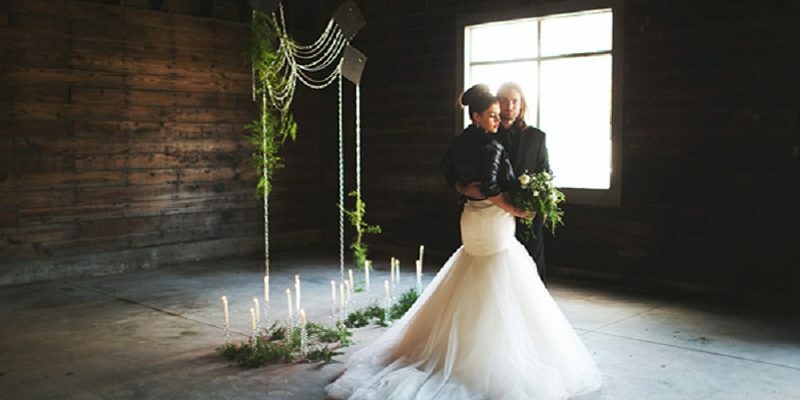 Dusty old leather suitcases have been upcycled this year and have become a popular prop at vintage-themed weddings. 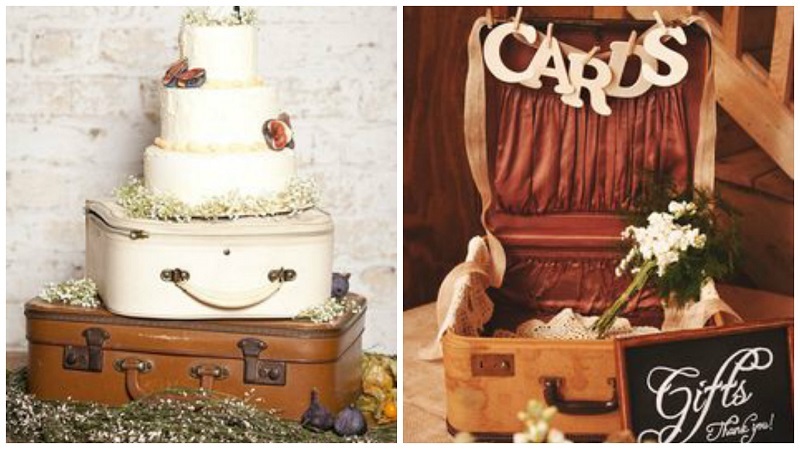 A suitcase can be used in many ways, from holding cards to wedding cakes, or to simply sit there and look pretty. 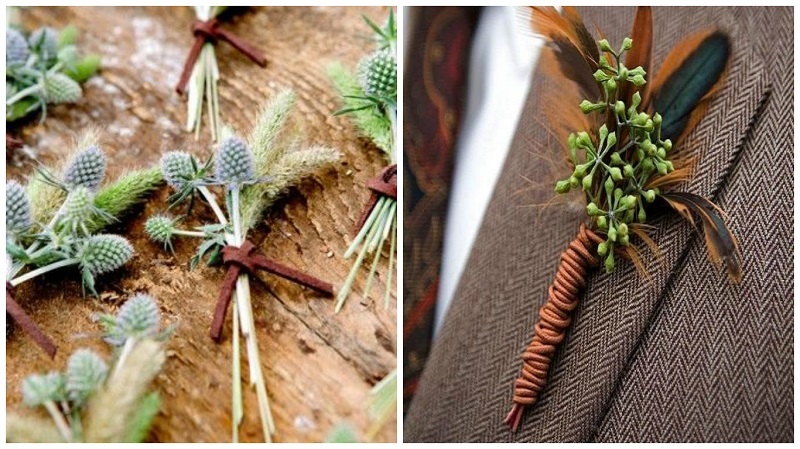 WJ spotted lots of leather bouquets available online, however we are wary of ‘leather overkill’. 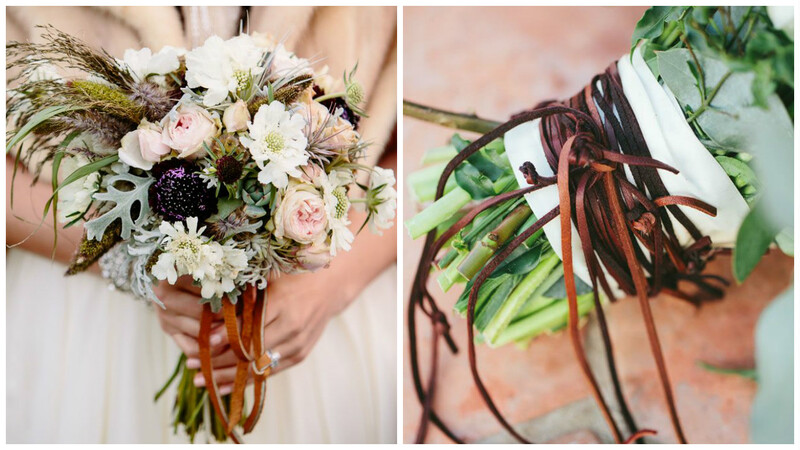 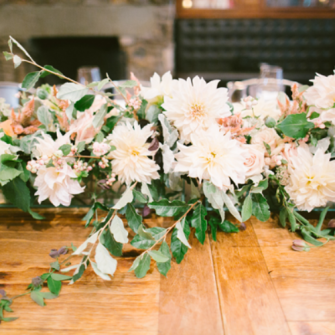 We love the rustic look of these leather ties loosely wrapped around the flower stems. 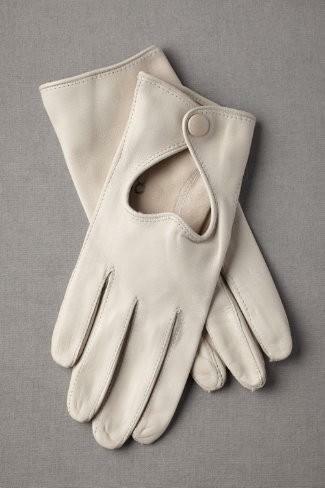 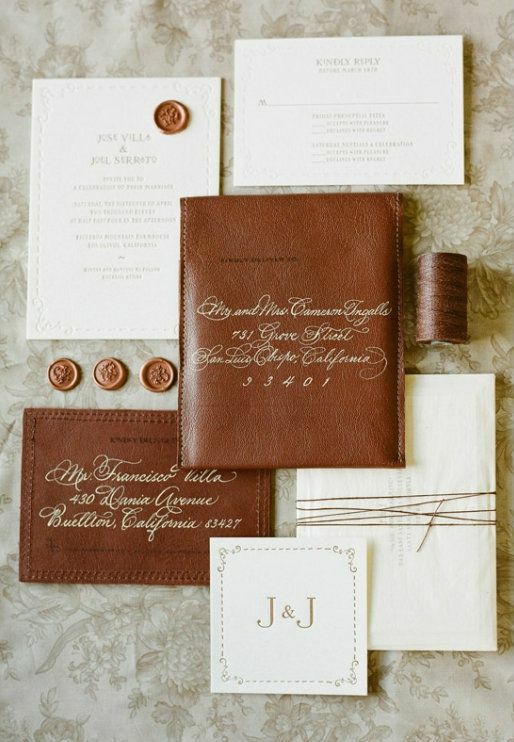 In a practical sense leather is long lasting which make it a good guest book option as it will stand the test of time. 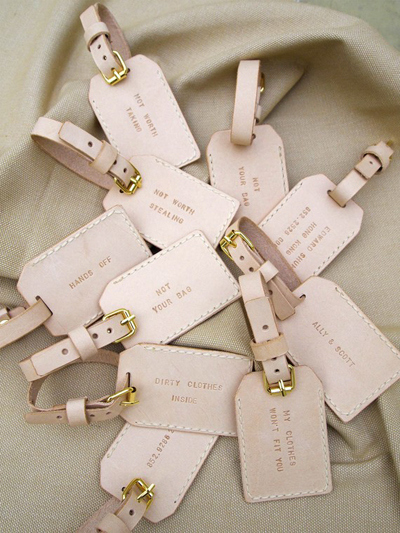 Leather luggage tags would work well as a wedding favour you are getting married abroad. 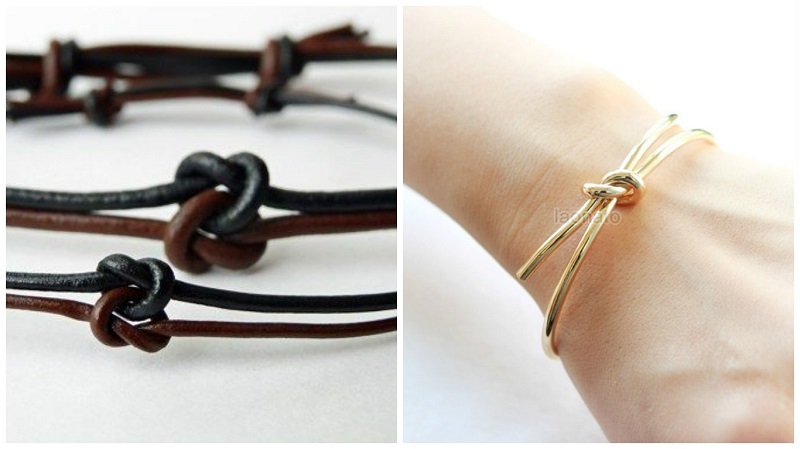 The true love knot symbolises love, friendship and affection. 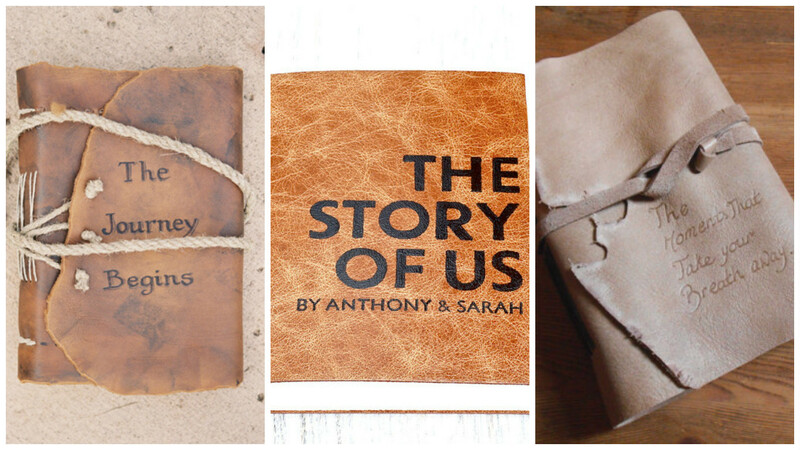 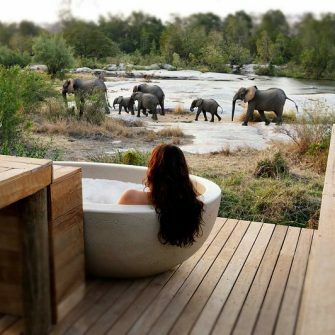 We couldn’t think of a more appropriate gift for your bridesmaids. 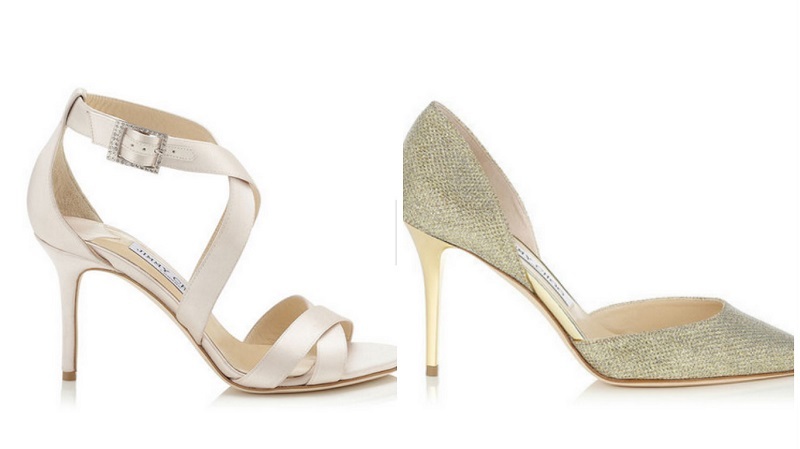 Splurge on ‘Lousie’ strappy sandals available from Jimmy Choo now for £450, or these ‘Addison’ gold lamé glitter pointy toe heels for £425. 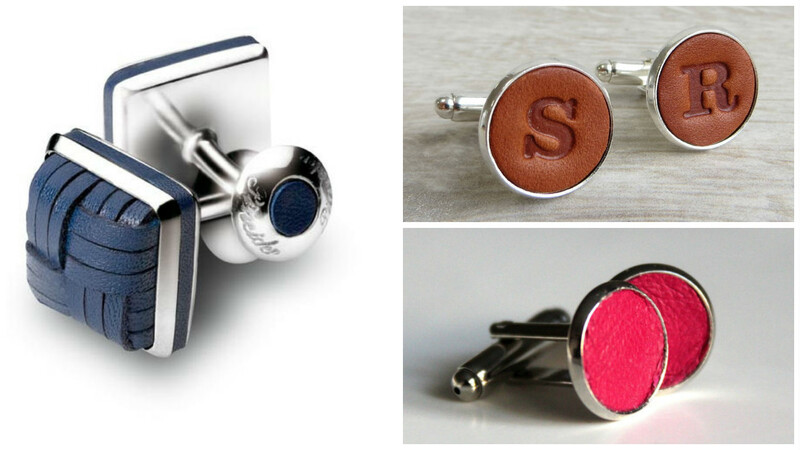 Coloured cufflinks are a quirky way to bring in the wedding colour scheme.